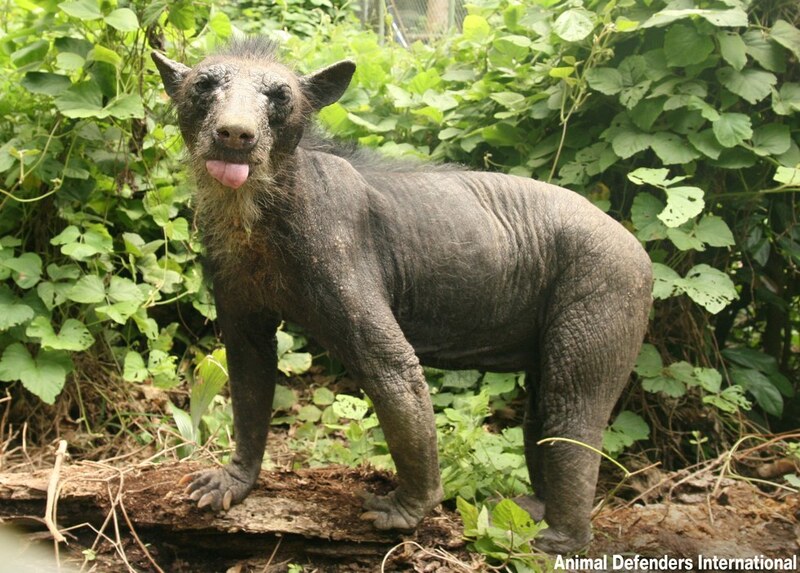 By the time Dominga was rescued from the zoo, she’d lost almost all of her fur. 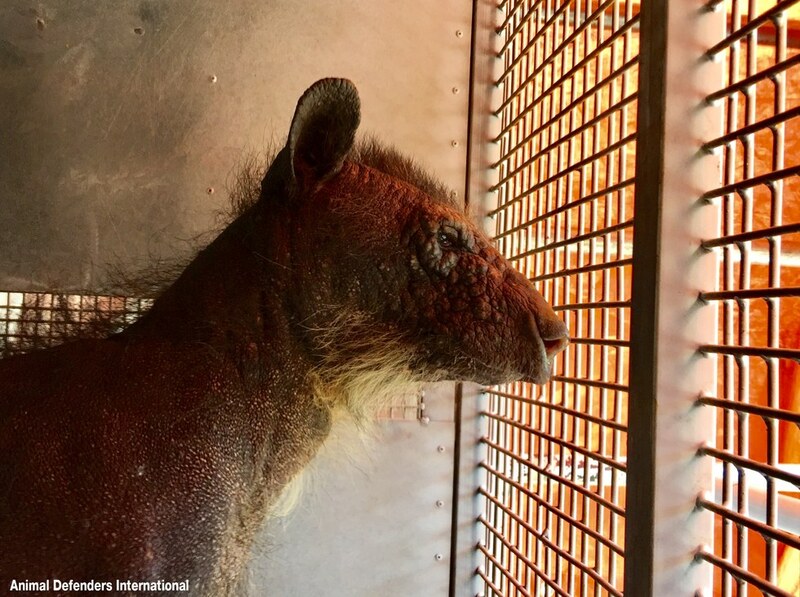 “She just has one strip of hair on the back of her skull going down her back, a bit like a mohawk, with a little bit more hair on her back,” Jan Creamer, president of Animal Defenders International (ADI), told The Dodo. 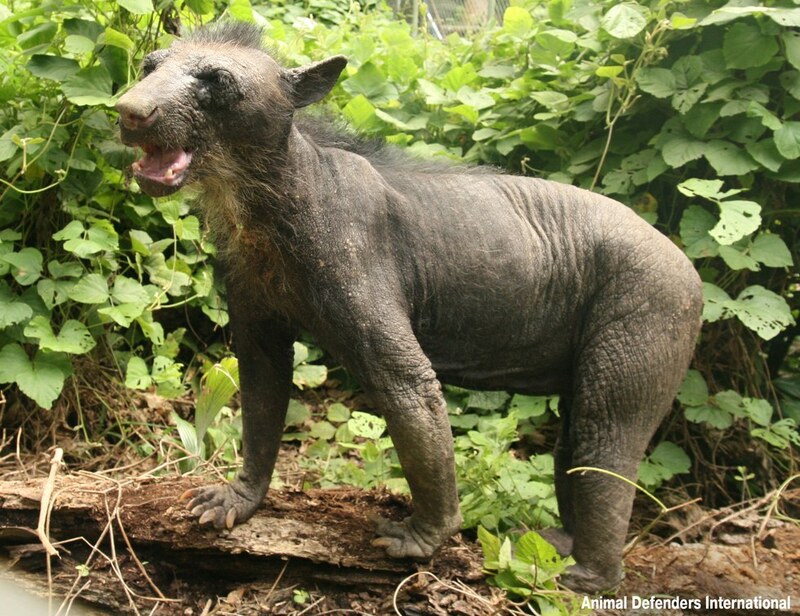 Considering what Dominga, a 14-year-old Peruvian spectacled bear, has been through, it’s no wonder she lost her fur. When Dominga was just a tiny cub, wildlife traffickers stole Dominga and her sister from the Amazon rainforest in Peru after killing their mom. 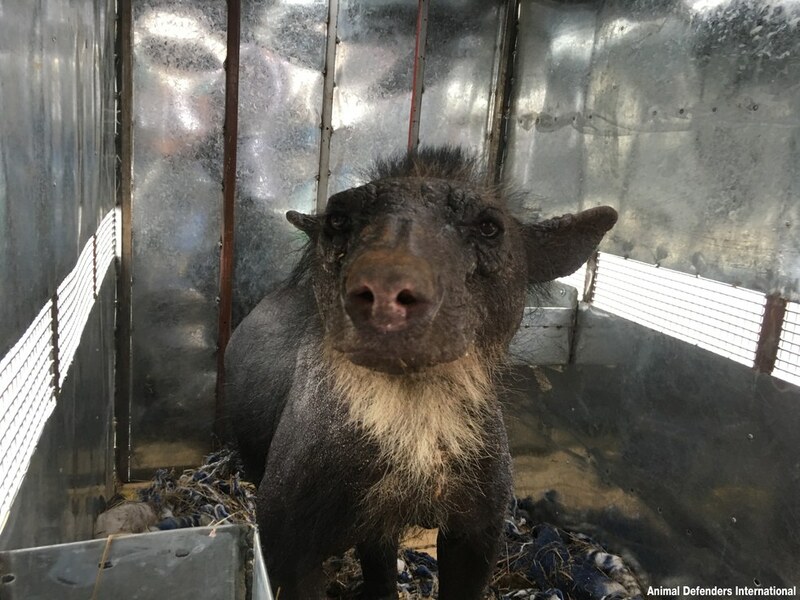 The traffickers probably planned on selling them both as pets or into the entertainment industry, but officials managed to rescue them in time. 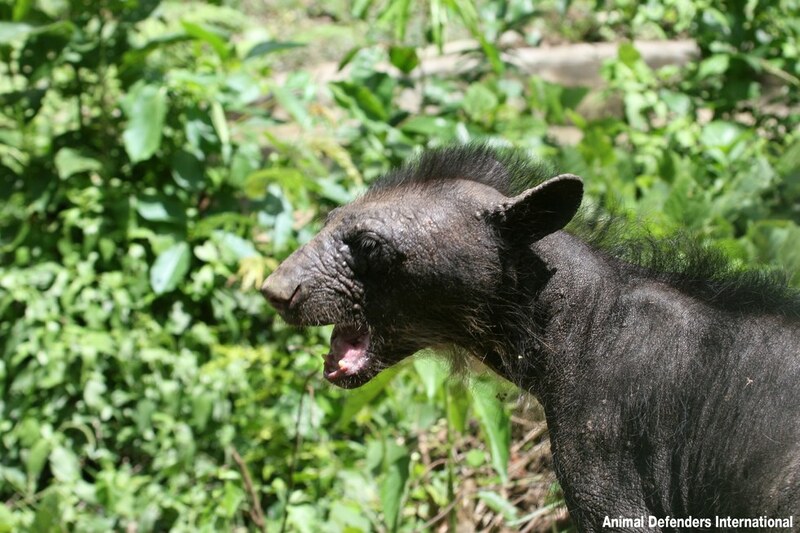 However, as young cubs, Dominga and her sister couldn’t just be released back into the wild. So a zoo in the Andes Mountains offered to take them. The zoo had good intentions, Creamer said, and tried to give Dominga and her sister a suitable enclosure. But the zoo just wasn’t able to make up for the loss of their natural home. At least Dominga still had her sister. But four years ago, Dominga’s sister got into a terrible accident and got caught in some fencing. Though the details of the accident are unclear, she died from her injuries. 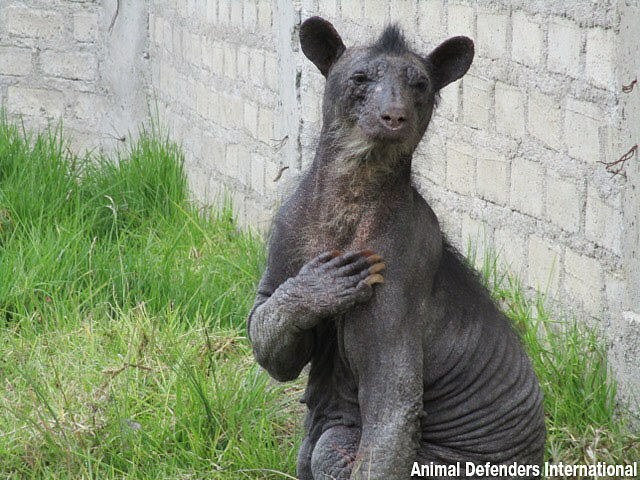 After losing her sister and only companion in such a traumatic way, Dominga spiralled into depression — and started losing her fur. But, after living alone for four years, everything changed for Dominga last month. 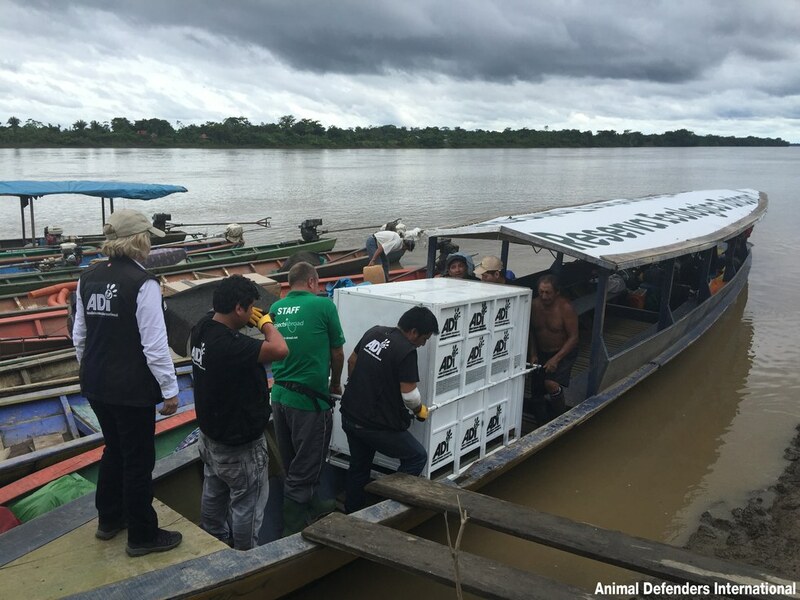 With the zoo’s permission, a team from ADI arranged to transport Dominga to a new enclosure in the Taricaya Ecological Reserve, which is located in the Peruvian Amazon rainforest. The journey took several days, and there were plenty of mishaps — at one point, the truck carrying Dominga broke down on a mountain. But when she eventually arrived back in the Amazon, it was all worth it. 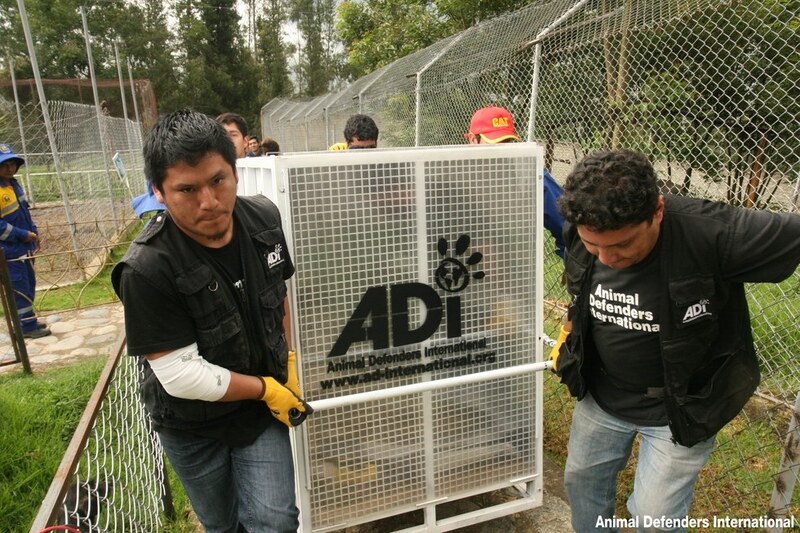 Dominga explored every inch of her enclosure that first day, according to Creamer. 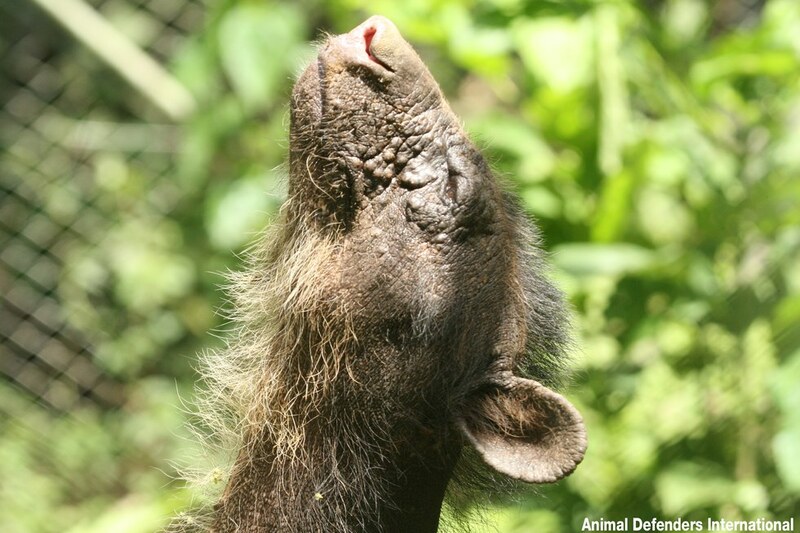 Dominga also has a new friend — she lives right next door to Cholita, another spectacled bear with a sad past. 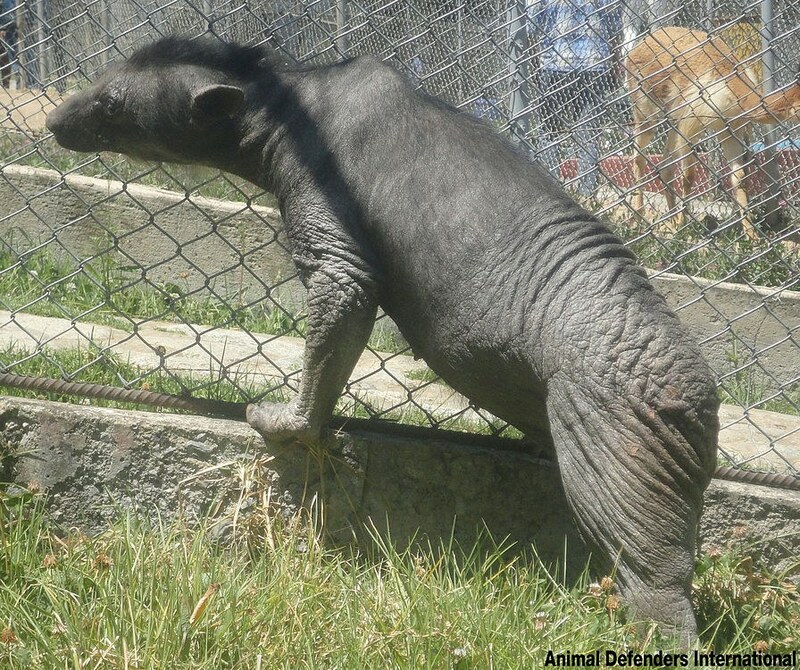 Cholita spent years as a circus bear before being sent to a zoo that couldn’t care for her properly — like Dominga, Cholita went bald from stress and depression before being rescued. “Now, for the first time since her sister died, Dominga has someone next door who speaks her language,” Creamer said. Creamer is even hopeful that Dominga’s fur might grow back. 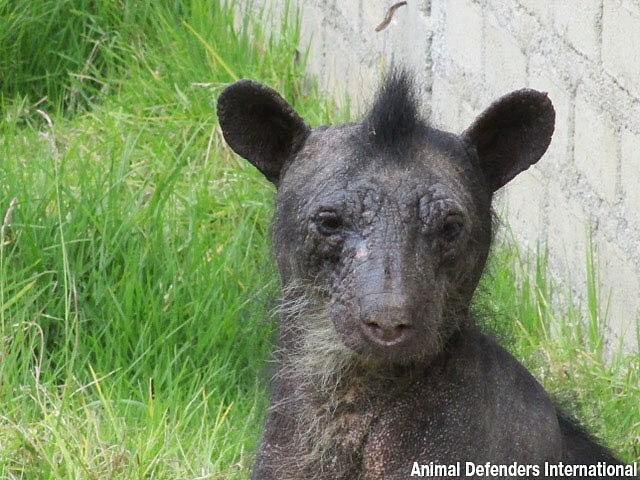 To help ensure that Dominga has a happy and long life at the Taricaya Ecological Reserve, you can make a donation to Animal Defenders International.